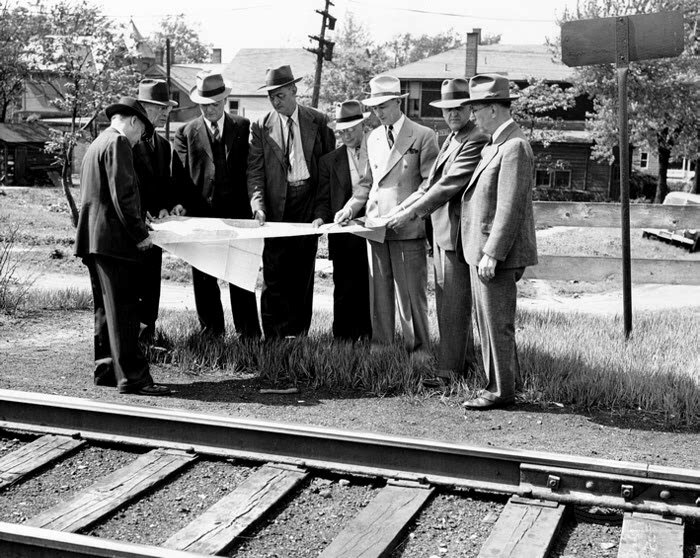 The primary builder and developer of Fairfield Terrace Sec B (Wayne Township) in Fort Wayne, Indiana was C.F. Kryder (third from the left). Though fiduciaries of his real estate and insurance assets strove to wipe out his, his wife's, and his son's estate work from the county records, His fee simple Deeds remain for all to see in books of the Allen County Recorder, as do these historic photographs in the Allen County Library. 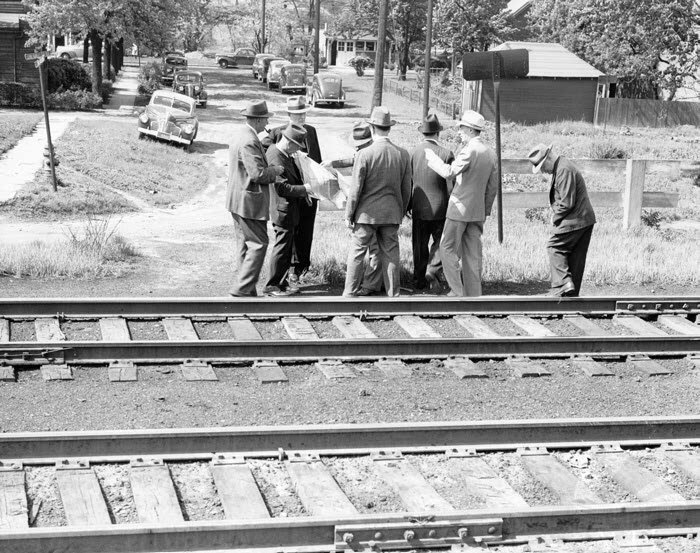 In them the investor is seen considering plans for the Fairfield Avenue Elevation of the Nickelplate Railroad in June, 1942.